The next time you go to donate household items, consider giving them to the Atlanta, GA charity that is making a huge difference in the lives of kidney disease patients and their families. 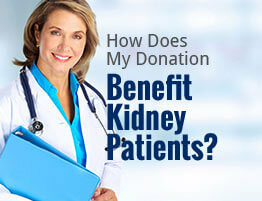 American Kidney Services collects donations of used clothing, electronics, furniture, cookware, and so much more and sends the proceeds they generate to the American Kidney Fund, a non-profit whose programs give financial aid to people affected by kidney disease when treatment because too much of a financial burden. Without leaving your home in Atlanta, Georgia, you can donate household items to our worthy cause. Simply call us or fill out the online form to be added to our rotational pickup list, and before our collectors will be in your neighborhood, we’ll call to remind you to leave any donations out front of your home in a bag or box labeled “AKS.” Or, if it’s more convenient for you, you can leave your items at any of our hundreds of drop boxes or at a nearby Value Village. To learn more about how to donate household items to our Atlanta, GA charity, please contact us today.